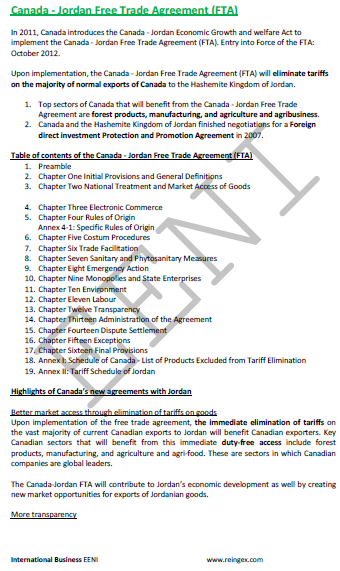 Syllabus of the Online Course (Subject): Foreign Trade and Business in Jordan. Amman. Learning materials in or Jordania Jordanie. 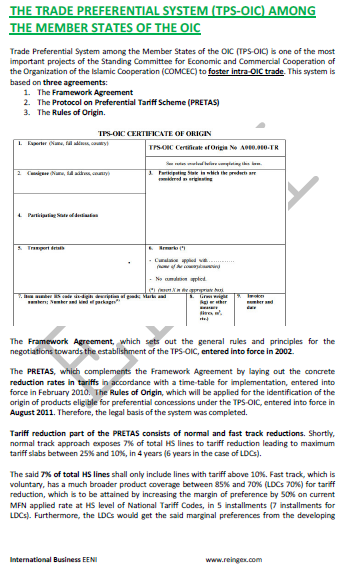 Description of the Online Course: International Trade and Business in Jordan. Jordan: a logistics hub in the Middle East. 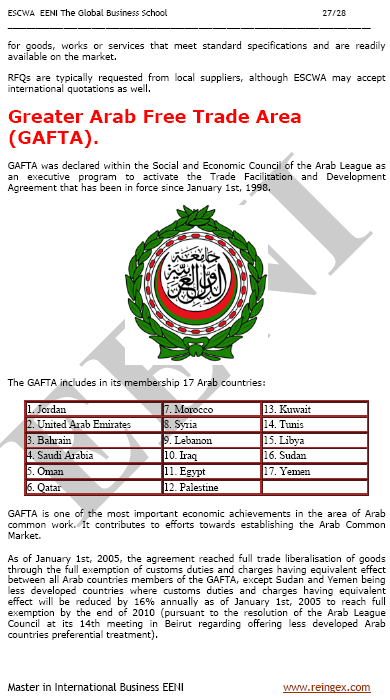 Jordan belongs to Arab Economic Area (Islamic Civilisation). 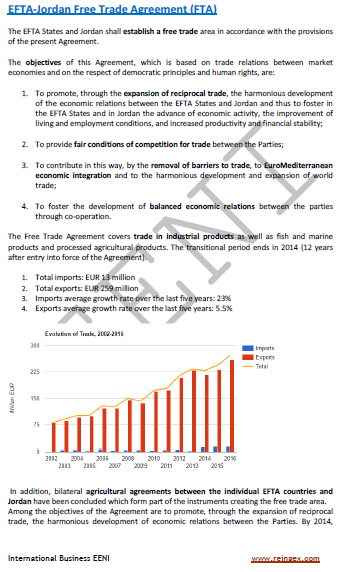 The Hashemite Kingdom of Jordan has significant natural resources, but its business sector is not well established, their economy is very open. According to the Central Bank of Jordan the services sector, including construction, accounts for 71.9% of GDP. 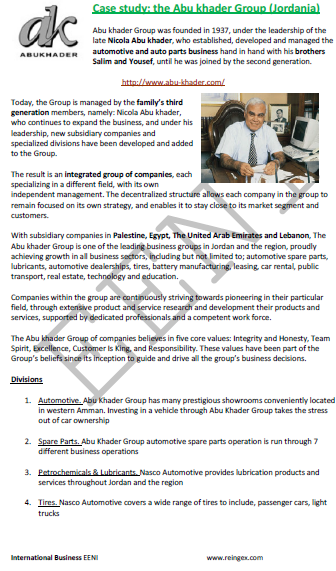 In recent years the most dynamic sector of the Jordanian economy has been the construction sector. 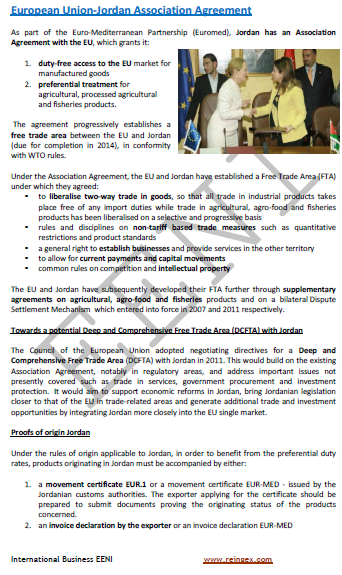 Jordan has more Free Trade Agreements (FTA) than any other Arab country. 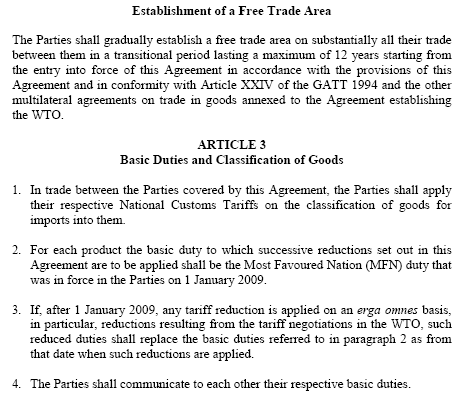 More Trade Agreements are provided with Iraq, the Palestinian Authority, the Gulf Cooperation Council (GCC) countries, Lebanon, and Pakistan. Regional Economic Institutions of Jordan.